The summer season is perfect for special days out, from the beautiful country gardens to busy days out with the family. Each outing should be enjoyed and looking your best will only make those memorable days better. What better way to look amazing than to pop on a pair of Peter Kaiser pumps. The pumps from Peter Kaiser are so summery and feminine they look fabulous with dresses, slacks and jeans. The best thing about the Peter Kaiser Pumps is the top quality leather that is used in there high heels and handbags is also in there ballet pumps. This versatile and easy to ware style is a brilliant addition to your wardrobe. We have picked out a few of our favorite colour combinations and styles. The first on our list of favorites is the Idria it is a classically shaped ballet pump with a rounded toe and a solid heal. This pump is a white patent leather shoe with Notte Blue features. The toe is lazer cut notte patent that exposes the white leather underneath, making this decorative brogue a must have to ware with jeans, any nautical or navy outfit. 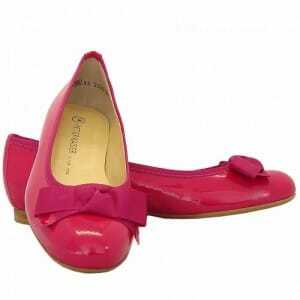 Our pick for most colourful is Idora, a pink pump with a decorative bow in a wide pink fabric ribbon. The bow is trimmed with the same pink patent leather as the pump itself and the fabric of the bow is repeated around the shoes opening making the two tone pink a beautiful feature. This patent pump is perfect for summer dresses and floral prints. Our final pick of the pumps is the Raja. It is not a true pump but a moccasin in white and caramel but we love it so much we think it is worth a mention. The Raja is a brilliant shoe for boat decks and promenades, With its extra width size it is a comfertable fit for leisurely walks and days out. The range of flat pumps from Peter Kaiser is diverse and colorful and there is a style and colour combination that will perfectly complement your wardrobe for this summer and next. We have picked out some of our favorites and we are sure that you will enjoy waring these summery pumps as much as we do.